Arnaud Calvet, Product Manager for hermetic connectors: "The large families of standardized connectors which we manufacture for the aeronautics sector are also available in hermetic versions, across the whole range of shell sizes and pin configurations. 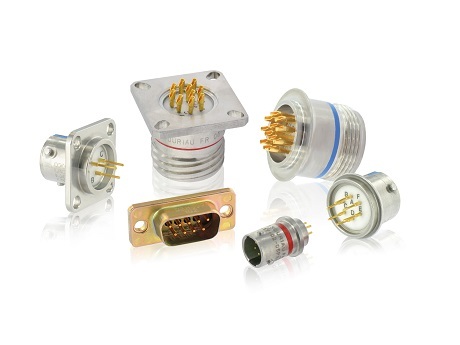 As well as this, we've added specific products in response to customer demand, like feedthroughs, thermocouple connectors and crimp contact versions." Arnaud Calvet: "In aeronautics, the market for hermetic connectors is experiencing strong demand growth for a large number of types of equipment including the aircraft’s internal electronics which has to be protected from the intrusion of fluids from the exterior. And we are seeing an increasing number of sensors (for pressure, temperature, speed vibration, strain etc.) being used in all parts of the aircraft as well as requirements for hermetic connectors for the actuators of the landing gear, the wing flaps and stabilizers, the flight controls and motor electronics." The hermeticity between the customer's equipment and the SOURIAU connector is located at two points. The first point is where the connector is attached to the equipment; the second is situated between the contacts and the shell. In the manufacturing process for the hermetic connectors, the traditional insulator is replaced by an insulator made of glass. A sintered wafer in the format of the shell and matching the contact arrangement is placed in an autoclave and melted at a temperature of 1000°C. Under the effect of the heating and cooling cycles, the glass retracts and creates total hermeticity between the shell and each contact. Arnaud Calvet: "Other markets for hermetic connectors are emerging in industry and aerospace thanks to their compact size and because they have no rear accessories, they weigh less. These are new opportunities which we are able to serve immediately." Discover SOURIAU-SUNBANK's hermetic connectors range by following this link to our hermetic connectors category.